Nowadays, people's relationships with their cell phones have trained them to be very attuned to vibration, because vibration means notification! 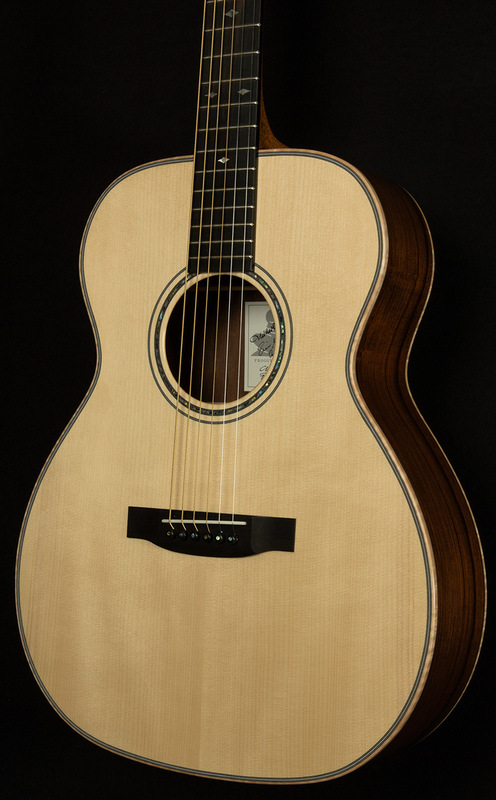 This Froggy Bottom is so resonant that it practically jumps out of your hands when you strum an E chord, and the wood is so lively that it definitely fooled me into thinking I had a couple phantom notifications! Speaking of liveliness, let's talk about how responsive this serial is, because that's what immediately sets it apart from the pack. 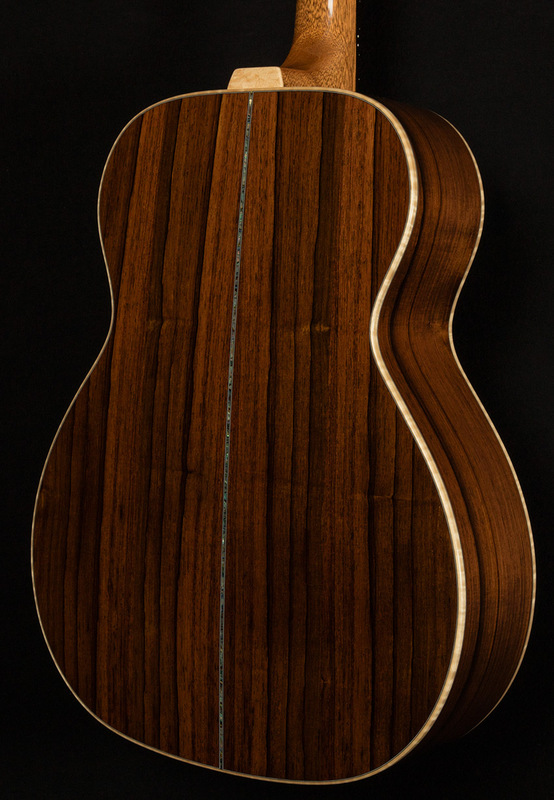 Certain acoustic guitars are constructed with such a spectacular blend of artistry and masterful craftsmanship that they feel almost like an extension of your hand, and this Froggy Bottom is one of them! 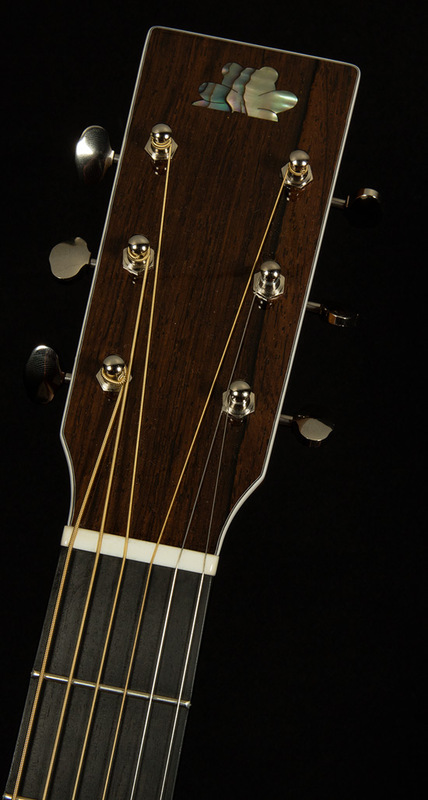 With this serial, the note jumps out of the soundhole almost the instant your pick touches the string. And the moment when a pick touches this guitar's strings is quite delightful, because the sound of the attack is simply sublime. 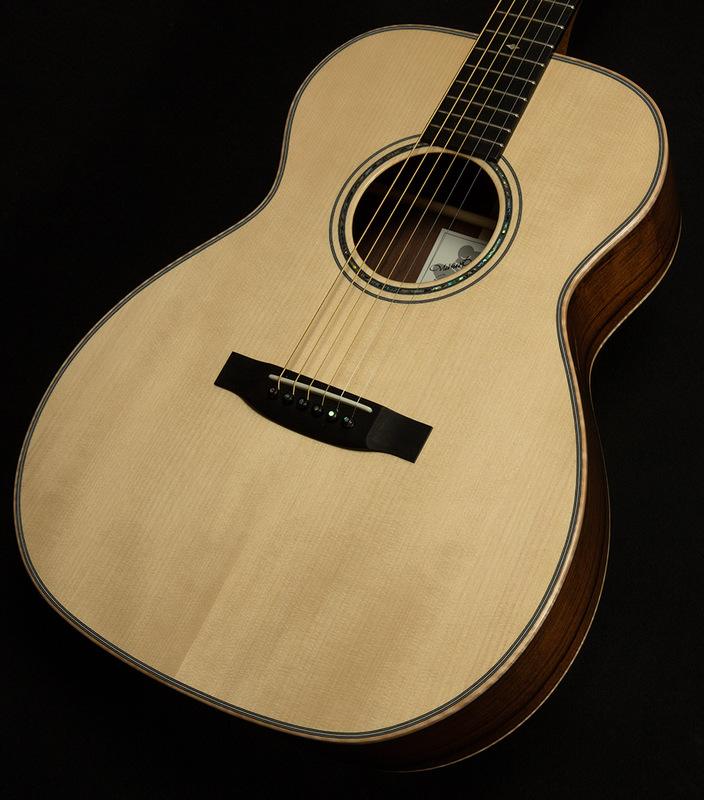 The Red Adirondack Spruce top imparts a woody, percussive quality to the front end of the note. After this initial mellow thwack, the next thing that greets your ears is the deep, warm bass resonance. Playing this guitar's low E string is like swaddling yourself up in a blanket of cozy low-end, and I felt so comfortable that I couldn't bring myself to stop playing! Not to be outdone by its brethren in the bass frequencies, the midrange brings a lot of character to the sound of this instrument. 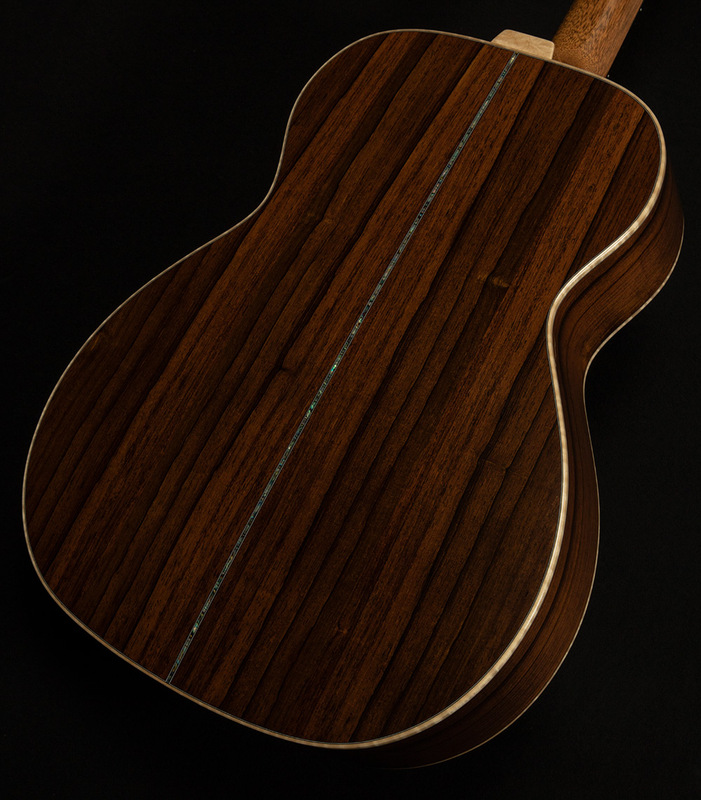 It's woody and warm, yes, but what really makes it special is its vocal, expressive nature. It speaks with a voice that reminds me of Isaac Hayes, if you shrunk Isaac Hayes down by twenty percent. It sounds rich and full, but there's no fat anywhere in the frequency response--just pure, pretty harmonics. This may be the first acoustic that has ever inspired me to play the Shaft theme! Finally, the treble frequencies have that signature Froggy Bottom bell-like resonance. 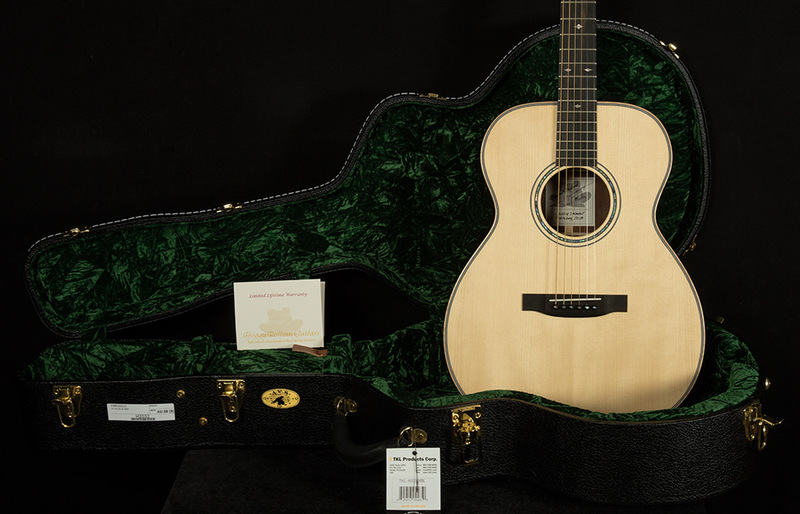 As this guitar sustains, even-order harmonics bloom like rows of rosebushes in the high-end, coating the midrange in a brilliant, shimmering sheen. All this talk of frequency response is nice, but I think the best way to exemplify how divine this Froggy Bottom sounds is to tell you about how cool this guitar made me feel when I played one of my favorite chords: a B minor seven with a flat five. Now, a Bm7b5 chord is plenty cool on its own, but one of my favorite subtle guitar moves is to fret it in the open position and hit the low E after letting it ring for a couple seconds. Most guitars will crumble when I ask them to do such a thing, because they lack the balance and clarity to represent each note in the chord equally. 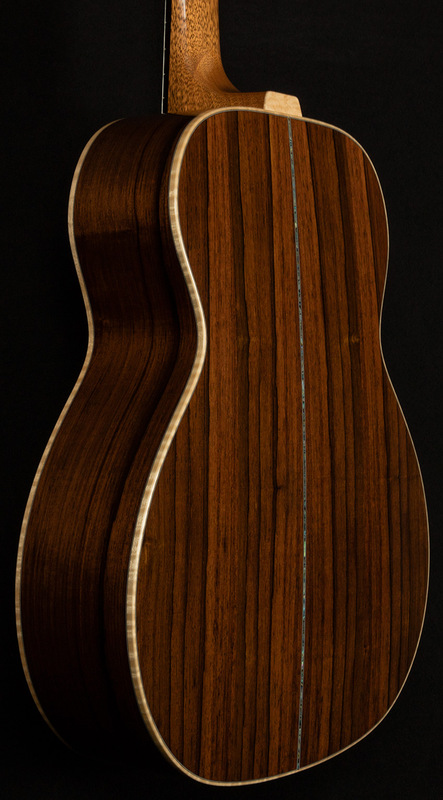 It's too much harmonic information, and it overloads the top of almost every acoustic guitar I try it on. Not this Froggy. I could hear every note clearly, and I felt like the coolest jazz player in the world, even though I am neither cool nor a jazz player. So, this guitar might not necessarily have a piano-like resonance, but it offer the same sort of compositional tools as an instrument with eighty-eight keys. 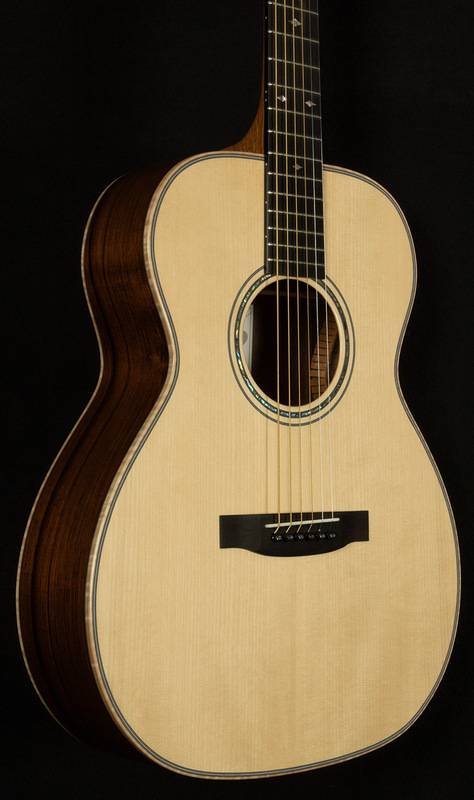 You can voice chords however you want and know that the guitar will translate what you hear in your head faithfully, and that makes it one of the most powerful creative tools Wildwood has ever had the privilege of showcasing.